It’s hard to believe how quickly 2016 has passed. It’s been a great year for my family and me – from celebrating our 10th anniversary to the 1st birthday of our youngest and everything in between. Now it’s time to look forward and plan 2017. I love the end of a year – reflecting on what has happened in the past and making plans and setting goals for the upcoming year is something I look forward to. I have to thank all of my Daisy Cottage Designs readers and fans for making 2016 one of my best blogging years yet. I appreciate every time you come to this website, share something on Pinterest, or comment on a Facebook post. Believe it or not, all of those things help me be able to stay home with my three little girls. 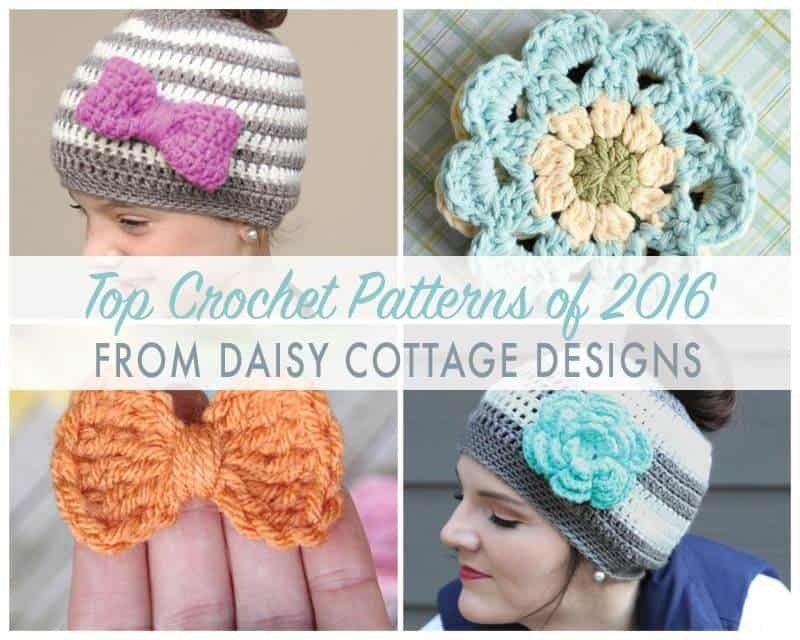 But, without further ramblings on my part, let me share with you the best free crochet patterns (and a couple other things) of Daisy Cottage Designs in 2016! The ever-so-popular Messy Bun Hat! And we can’t forget the Kids Messy Bun Hat. This Granny Square Blanket has been my top pattern for a couple years now. This Large Flower Crochet Pattern is a favorite among many. I think the simplicity of this Little Bow Crochet Pattern is what makes it a fun project. The versatility of this Japanese Flower Motif Pattern makes it great for coasters or buntings. 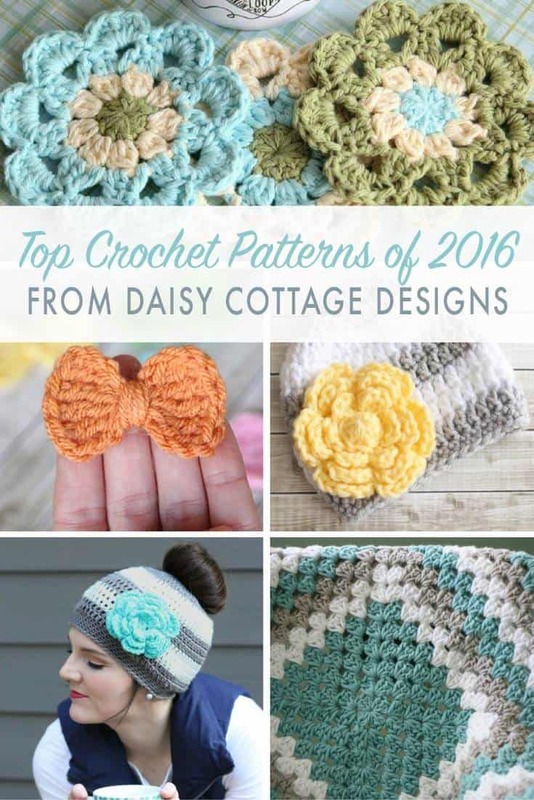 This Ripple Blanket Crochet Pattern is also a Daisy Cottage Designs Classic. A quick and simple project is always a favorite – Easy Coffee Cozy Crochet Pattern. While this isn’t one pattern, this Boot Cuff Crochet Patterns collection is one of my most-viewed posts. And one more popular post to help you get on track and get more crocheting done in 2017 is this printable habit tracker. Can you tell me where I can get that pattern? Thanks so much! !